A package arrived in my mailbox today. It was a heavy package which can only mean one thing for an otaku: manga! This month’s haul is a bunch of manga I ordered during one of Rightstuf’s recent sales. Yeah, everyone knows it’s easy to just download scanlated manga online, but I believe supporting the industry, especially outside of Japan is important so I am happy to buy worthwhile releases such as these. Speaking of which, what did I get this time? Let’s see! 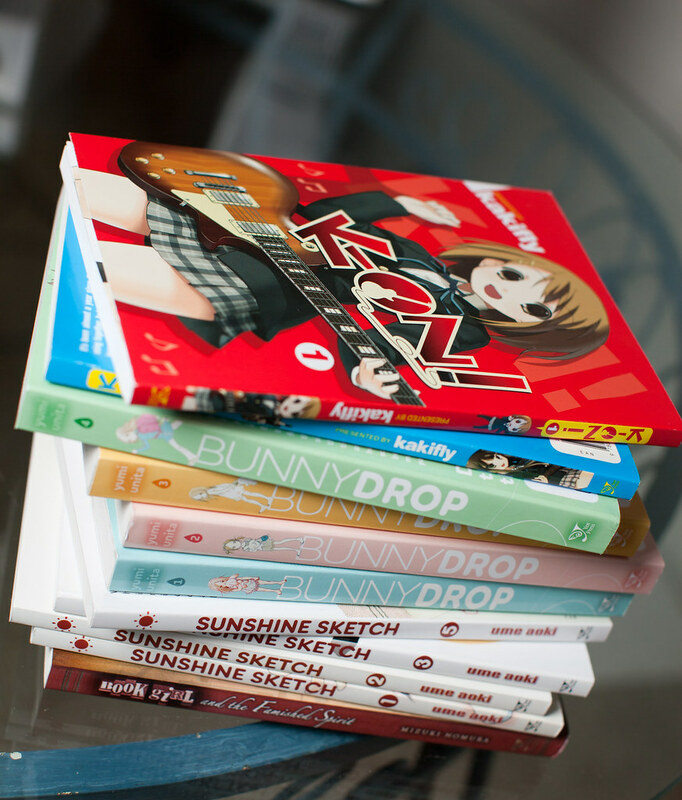 If you happened to notice, this stack is missing Sunshine Sketch volume 4. For some reason, it is (and has been for a while) sold out at every online shop I’ve looked at! It seems to be out of print :(. I emailed Yenpress about it but haven’t heard back yet. 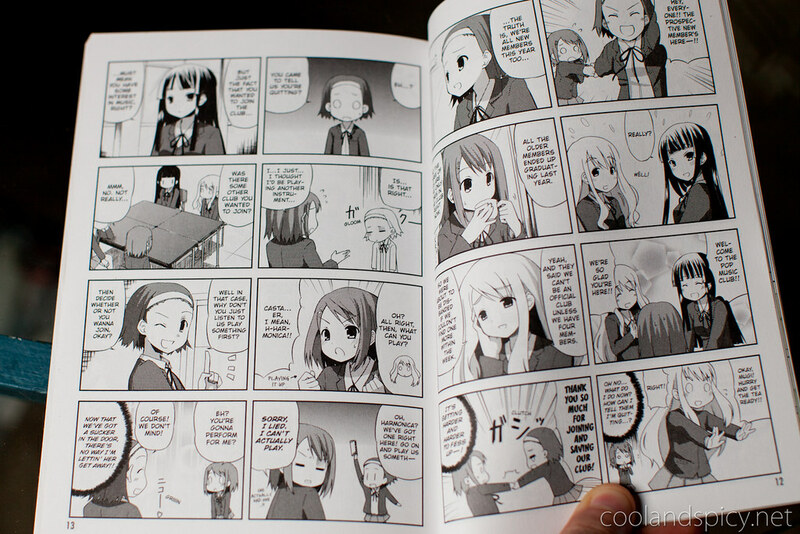 I hope it’s just temporary as I really want my Hidamari Sketch collection to be complete! Aside from Hidamari Sketch, I’ve also got Bunny Drop which I was convinced into ordering after watching the excellent anime that recently aired. I expect the manga to be just as good! 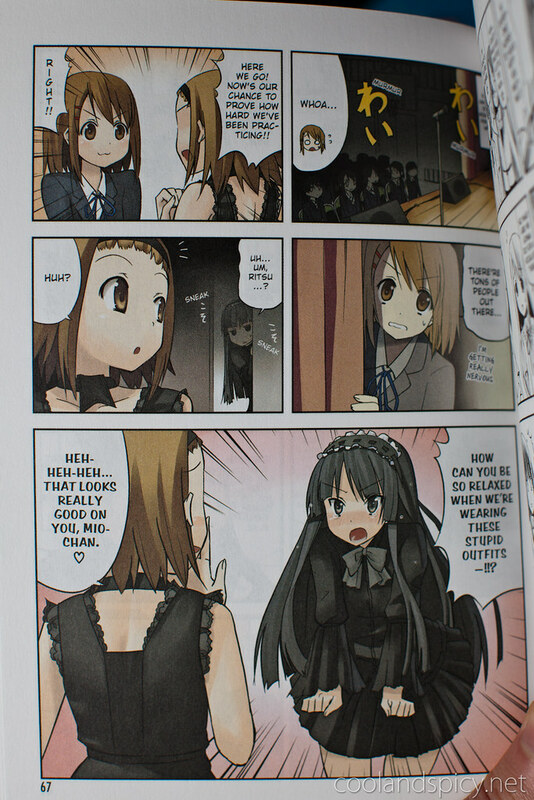 I’ve also got the second volume of Book Girl and the ultimate moe-blob series, K-ON! That’s all for now, thanks for stopping by!